The actor activist and the chief guest of the 44th International Film Festival of India, Susan Sarandon said, ‘I am an actor because I have very strong imagination which raises in me empathy towards the pain and pleasure of the people. These two qualities are connected and make for an activist’. She was addressing the mediapersons here during the ongoing festival. Elaborating on acting and activism she said acting is using one’s imagination while activism is what one does as a person. 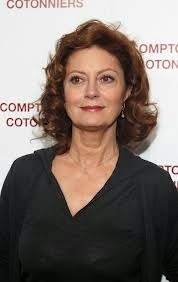 Expressing her candid views on the social role of an actor, Susan Sarandon said, ‘it has always been hurting to my ego to live without asking questions about the issues concerning mankind’. As cinema reframes one’s vision of the man and his world, it is important to make good movies with substance, she added. She asserted that ultimately one has to create his or her own story. Responding to a question on gender discrimination she said education is the basis of any change and that a man is comfortable when he chooses a strong woman. The business of filmmaking is very hard on woman, she replied to another question. Oscar is the biggest award but the film winning the award need not necessarily be the best. The awards are decided by contribution of Jury and voting system which has evolved into a different system.